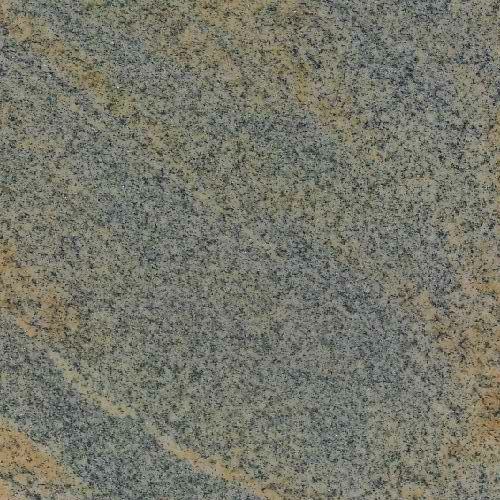 Blue Fantasy granite is quarried in Brazil. It is a black stone with hints of blue, beige, and red mineral deposits. From afar, it looks like flowing dark sand with layers of drama. When you get closer, you can see the combination of minerals that are present. Splashes of white and grey rock are sometimes found in some slabs. Blue Fantasy granite can look a different from one area to the next, depending on the amount of natural light available. In areas with lots of light, the hints of blue and red minerals will be more noticeable. If you have an area with little light, consider additional lighting fixtures to bring out the sparkle in the stone. The color variations in Blue Fantasy are a good choice for both traditional and modern kitchens, and with a variety of cabinet colors, from steel gray to dark cherry. We have an incredible selection at incredible prices. Supplies are limited, so call or stop by to reserve your granite slab today!